on the way to Donsol in the Bicol region to see the whale shark, we made our stop at the world class wakeboard site of CWC in Naga. after one tiring day, we traveled south to the town of Iriga. famous for its mountain view of Mt. Iriga. 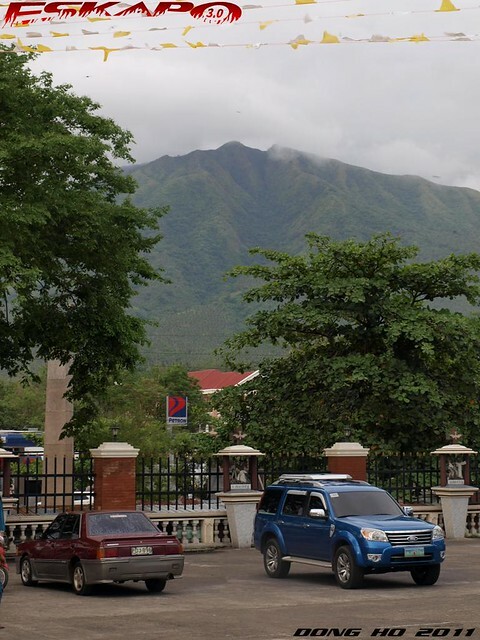 it is the second peak in the province of Camarines Sur after Mt. Isarog with a difference of just few meters. as part of the Pacific ring of fire, Mt. Iriga is an active volcano which last erupted in 1642 causing a big slice on its Eastern side facing Lake Buhi. with a limited time to explore the mountain, we dropped by the town church at the city center. destroyed several times since it was first built in 1585. its refurbished facade with two bell towers makes it look like an ordinary church in the country but its interior ceiling gives it a different feature. 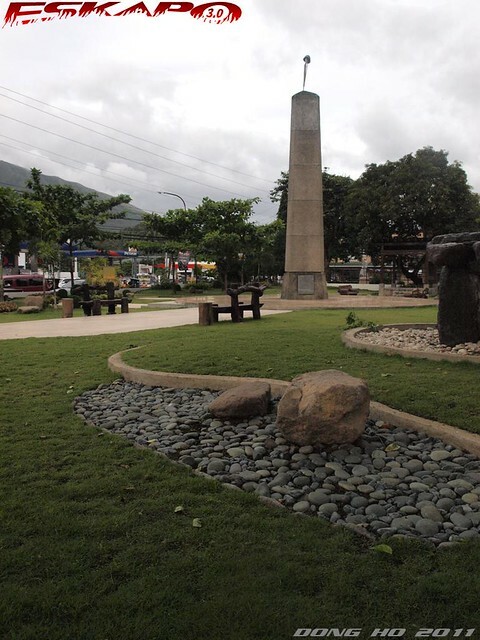 the city plaza covers a large area with small mini park spots including a Japanese ark. across the park is a convention center with an impressive modern design. 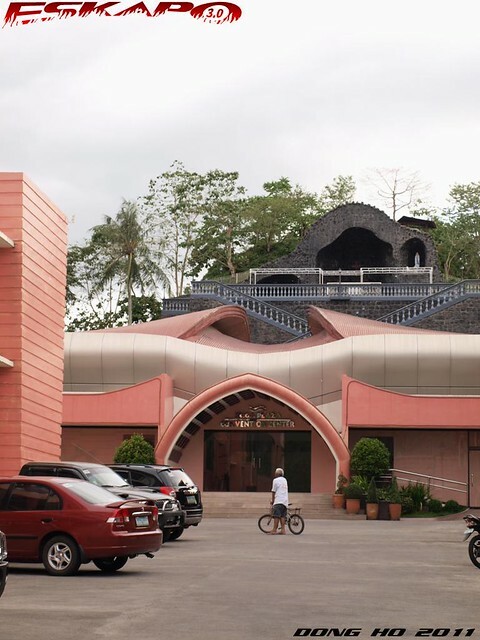 just at its back is an elevated grotto which has an overlooking view of the town plaza. 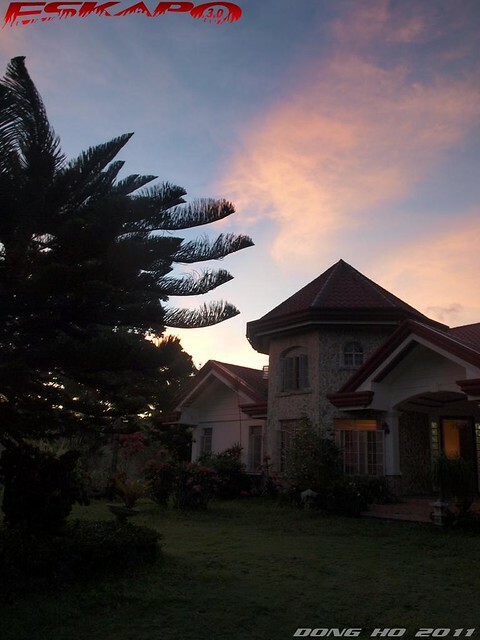 as the sunset approached, we went to the Margallo's residence, who hosted our overnight stay in the city. had a special dinner with the barangay chairman eating laing and a night at one of the restaurant with a local band. just right to end that tiring day. special thanks to Mark and Luke Margallo for hosting our stay. one can take a bus to Naga city and from there take a bus or a van at the central terminal to the city of Iriga (45minutes). that monument (or is it a kind of gate?) in front of the church looks very interesting; I haven't seen such a structure before. I can't remember now if I saw Mt.Iriga from a distance when I visited Mt. Isarog years ago. Looks like a great hike awaits there! nice looking house. i want to have one that looks like the last picture someday. haven't truly explored amarines Sur as we only went to the usual tourist spots. 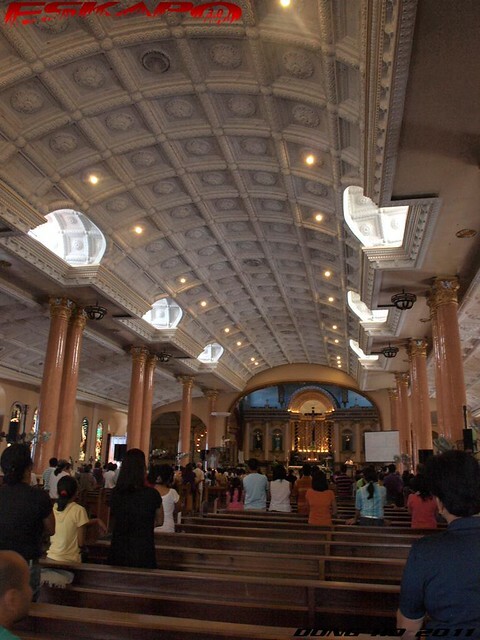 the church does look normal nga outside, totally different from the inside. 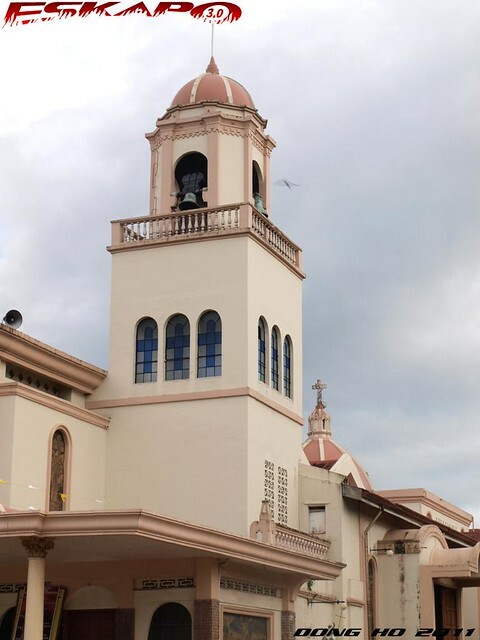 Lovely architectural designs of the church. Very interesting to see the inside of the church too. Ang majestic ng ceiling. Matindi pala ang pinagdaanan ng lugar na yan. Love the last photo. 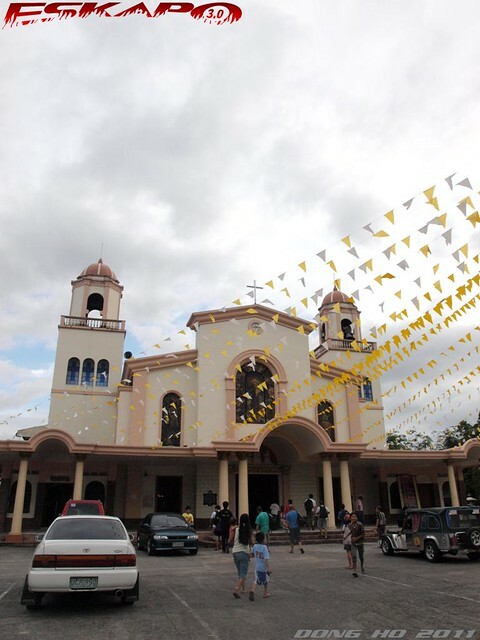 Grabe I love the church, sana mapuntahan ko yan at makakanta sa isa sa mga kasal ko. Iriga is where we also stayed on my 1st ever visit in Naga. I remember waking up with the unobstructed view of mount Isarog. there are so many beautiful spots in the philippines. what is the third image supposed to be? i haven't set foot in any parts of bicol so i welcome this post. All so charming, what a nice trip! Looks like quite an inspiring, humbling place. wohoo! !the Bicol experience! !I Like it!! Parang nakita ko na rin ang Iriga through your eyes. Great pictures! You would think that with Mt. 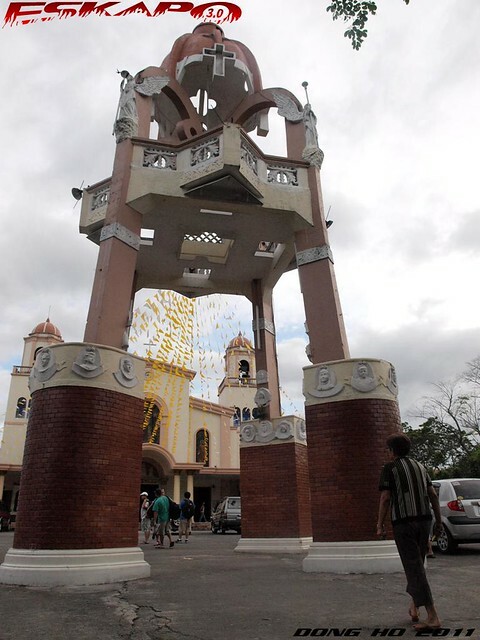 Iriga still being active that they would move that beautiful church farther away after being destroyed so many times. I paused for a couple of seconds to stare at the mountain. Looks challenging. I'm adding that to my future destinations. I would love to visit Camarines Sur. I heard that the water sport like Wake boarding is a hit there.